Donnie "Big Daddy" Patterson, Sr. Celebrating the life of Donnie "Big Daddy" Patterson, Sr.
Obituary for Donnie "Big Daddy" Patterson, Sr.
Donnie "Big Daddy" Patterson, Sr., age 62 of Altus, Oklahoma, passed away Thursday, November 22, 2018 at Jackson County Memorial Hospital in Altus. Donnie was born in Wichita, Kansas on April 14, 1956 to his mother Dorothy Patterson. Donnie grew up in Altus and was a graduate of the Class of 1974 from Altus High School. Right after high school Donnie enlisted into the United States Army and served his country for over fourteen years before receiving an honorable discharge. On May 19, 1975 Donnie married Myra Neal in Vernon, Texas and they have enjoyed over 43 years of marriage together. 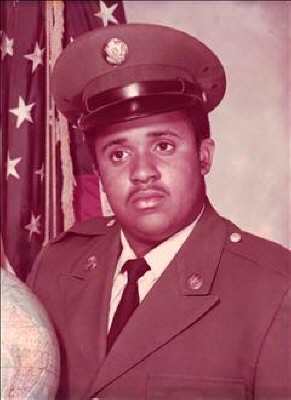 During his military career, Donnie and family were stationed at numerous military outposts including; Fort Hood, Texas, Fort Polk, Louisiana, Mannheim, Germany, the Panama Canal Zone, Fort Benning, Georgia, and Korea. He moved back home to Altus in the early 90's where he worked for the Bar-S company and later went to work for the City Altus in the Sanitation Department and he retired in 2013. He was a member of the Macedonia Baptist Church in Altus and a member of the Mason's. Donnie enjoyed fishing, OU sports, the Dallas Cowboys, and he was known for keeping a well-manicured lawn. But the most important part of Donnie's life was family. He enjoyed watching his children's and grandchildren's activities and Donnie always treasured the time spent with his family and he will be missed greatly. Preceded in death by his mother, Dorothy Patterson; his very special aunt and uncle, Vorece and George Washington, his uncle, Albert Patterson, his aunt, Beatrice Goodlow; his very close relatives, Velma and Willis Booker; and two step-grandsons, Kenneth Young and Antonio Miles. Donnie leaves to cherish his memories by his wife Myra Patterson of the home; four sons, Donnie Patterson, Jr. of Altus; Tyrone Patterson and his wife Tina of Washington State; David Patterson and his wife Jennifer of Altus; and James Patterson and his wife LaDonna of Altus; fifteen grandchildren, Viola and Donnie, III; Nautyca and Nyla; Camden, Olivia, David Malik, and Mia; Laethon and Jahbari; Shaquita, Shaquan, David Alexander, Jewel, and Maliyah; 21 great grandchildren and 1 great great grandchild; as well as many other family members and friends. Funeral services will be at 10:00 am on Friday, November 30, 2018 at the Lowell-Tims Funeral Home Chapel in Altus with Reverend Kenneth Broughton officiating. Interment will be at 2:00 pm, November 30, 2018 at the Fort Sill National Cemetery in Elgin, Oklahoma with Military Honors rendered by the United States Army. Lowell-Tims will provide a live web-cast of the funeral service at beginning at 9:58 am on Friday, November 30, 2018. Go to www.Lowell-Tims.com and click on Donnie Patterson, Sr. There will be a blue tab that says "watch webcast" inviting you to join the web-cast. To send flowers or a remembrance gift to the family of Donnie "Big Daddy" Patterson, Sr., please visit our Tribute Store. "Email Address" would like to share the life celebration of Donnie "Big Daddy" Patterson, Sr.. Click on the "link" to go to share a favorite memory or leave a condolence message for the family.